Moulds Gardening Services was formed in 2009 by William Moulds. 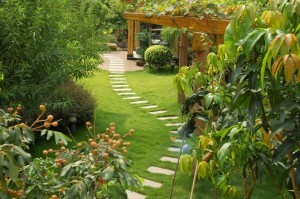 Our aim is to provide a complete garden maintenance service. Specialising in lawn care we provide not only regular lawn cuts but also the highest quality lawn treatments available to create beautiful lawns. We also are experts on garden maintenance be it pruning plants, trimming hedges, mulching beds, weeding and planting shrubs, hedges or bedding plants. We have the knowledge of when the best time is to do these jobs and the correct techniques for the best results. We are qualified professionals who have a passion for horticulture. We are constantly growing and have assembled a small team of dedicated workers. We believe in investing heavily in our employees so they are well trained and competent at what they do. Our main priority is our customers and we aim exceed their expectations in the quality of service that we provide.